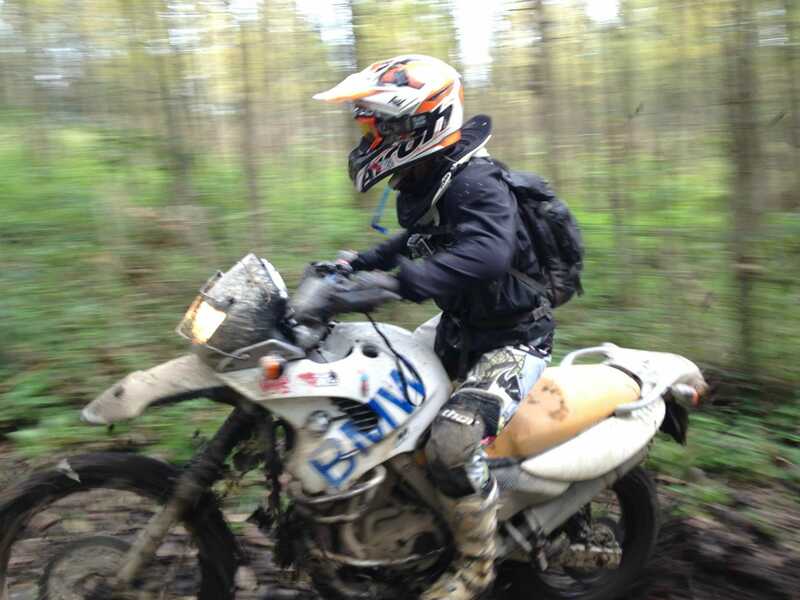 When I first started riding, I mounted my GoPro on top of my helmet just like many beginning off road riders. I got stuck a lot in bushes because the camera operated more as a fishing rod than an actual motion picture maker. Once being caught by Mother Nature, I hurt my neck because of the sudden stop I had made when the GoPro got trapped by some branches. I decided never to mount the camera on top of my helmet again. Also at that precise moment I started realizing that our necks are pretty vulnerable during off road riding, not only because they get scratched by thorns, but also they can easily be snapped when getting thrown off the bike. During post ride conversations I often heard horror stories of people being injured or even paralyzed after a fall. So the question rose, ‘Should I buy a neck brace?’ and if so, which one? After talking about it with a variety of people and searching the Internet, I found a decent beginners neck brace. I didn’t hesitate and went to buy it at my local dealer. So how does a neck brace actually work? The neck brace is a solution to quite a few injuries. The most important is of course when you land straight on the top of your head during a crash. During impact the neck brace should divert the force from your vertebrae onto your collar bones, this sometimes results in broken collar bones, but you’d rather have your collar bone broken than a vertebra. 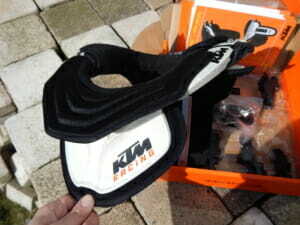 The Leatt ADV II also protects you from the well-known whiplash effect, both front, back and sideways. 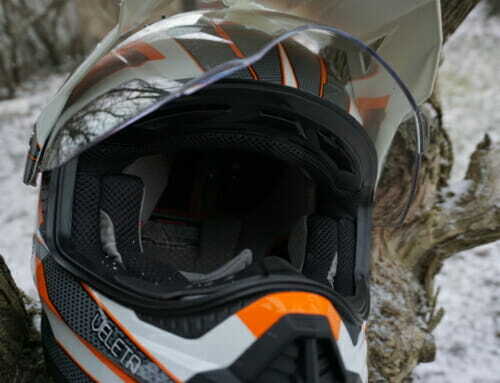 Your helmet meets the sides of the neck brace and thus preventing it from moving any further. 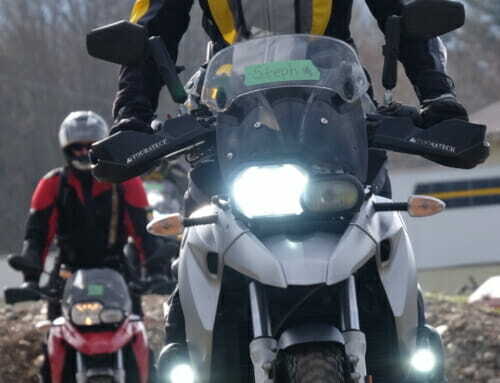 This of course has a side effect when riding; the brace makes it difficult to take a quick peek behind you during trails. You really have to twist your body but that is only a minor disadvantage regarding the protection it offers. Also when walking around without your helmet there is no discomfort, you can’t feel the neck brace and can continue eating, drinking and whatever you do fully dressed in your gear. I now own the Leatt ADV II and I can honestly say that the Leatt is still in perfect condition even though it has had it share of beatings off road. There was one crash with the GS650F Dakar that I can remember in which I was very grateful that I was wearing my neck brace. 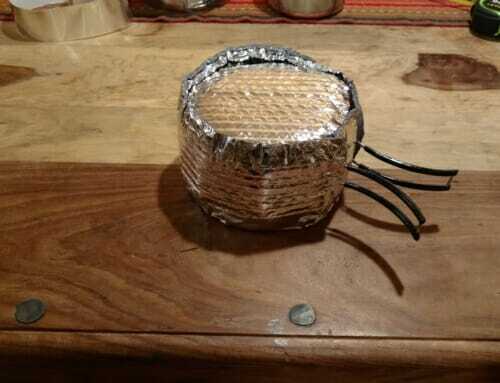 Even with the protection it had provided I still had a sore neck for ten days. 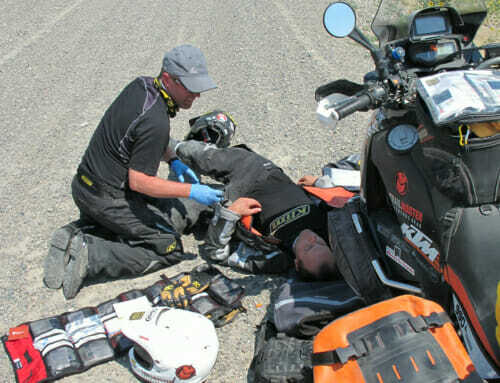 One fall off road cannot make the difference between paralysis and even death so at least consider wearing a neck brace. 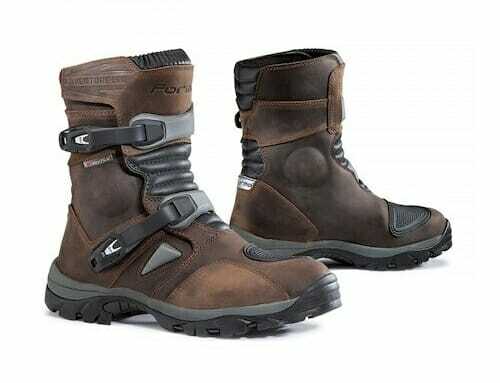 I am convinced, I will never ride one inch of off road without mine, and I should even wear it on road too! So go get take your helmet into the store and try to see what suits you best. Better safe than Sorry!